Colourful old houses in The Rock. 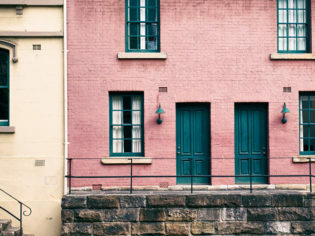 Ruby Boukabou takes you on a walking tour from The Rocks to Barangaroo, a journey from the oldest corner of the city to its most dazzling recent addition, with many great finds along the way. Some corners of Sydney are so well trodden that eventually they become places that subconsciously we perhaps no longer feel the need to return to; we know it too well, every nook and cranny. The Rocks could be one such locale, as old as the city itself. 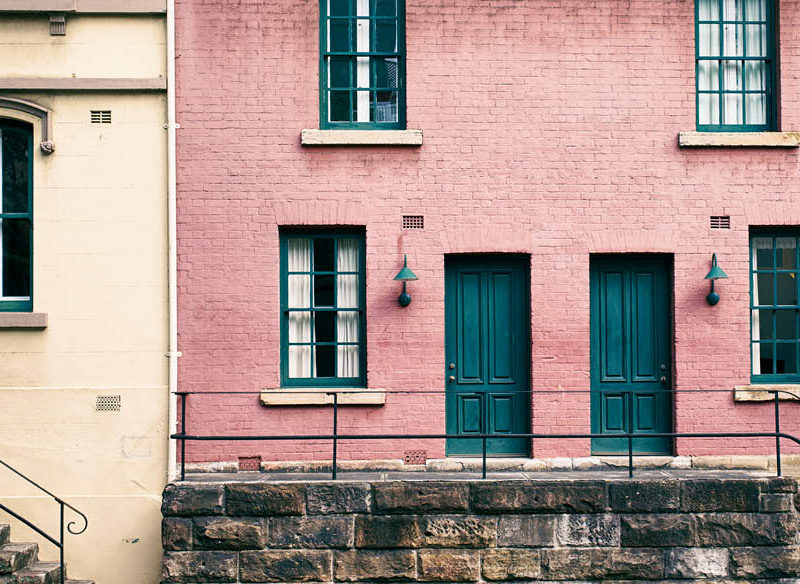 But follow this walking tour from The Rocks to Barangaroo, from the city’s colonial beginnings to its brand new quarter that pays homage to the land’s ancient heritage, and you’ll rediscover Sydney at its most charming, creative and delicious. Know your way around The Rocks (photo: Mike Rossi). Your journey through what is the traditional land of the Gadigal people of the Eora Nation begins at iconic Circular Quay, where even Sydney locals can’t help but marvel at the world-famous view from the ferry hub to the Opera House and Harbour Bridge. Curve around the quay (bridge side), and pause to listen to some of the talented buskers before making your way into the fabulous Museum of Contemporary Art Australia. The rooftop restaurant here is perfect for a coffee or late breakfast with a view out across the harbour, and it’s an excuse to sit and get your bearings before exploring this wonderfully curated gallery. Now it’s time to hit The Rocks. Pop into the cute Creperie Suzette or the courtyard of La Renaissance patisserie (head chef Jean Michel Raynaud has the Relais Dessert stamp no less). If it’s Friday, there’s the fantastic Foodie Market outside. Be sure to taste some olive oil and dukkah from the Hunter Valley’s Pukara Estate, fuel up with delicious beef jerky from Biltong To Go and try a cupcake from Mini Monet. Perfectly curated designs at Sorry Thanks I Love You (photo: Nikki To). Pick up a silk shirt from Joe Bananas. This is also Ruth Park’s classic Playing Beatie Bow territory. Enjoy getting lost in the back alleys and discover layers of history here with the help of informative plaques, before heading to the interactive Rocks Discovery Museum housed in a restored 1850s sandstone warehouse to get a dose of the past – from Indigenous to convict, sailor to labourer. Treat yourself to lunch at Wild Ginger Dining + Bar. This is Thai-Australian food at its best and most delicate. Chef Tony Suphap Samsen learned from his grandmother in Bangkok and now serves divine dishes, including a perfectly fried rainbow trout in a red curry sauce. “The Rocks blends ancient culture, breathtaking views and, of course, sensational cuisine. It’s great to be a part of this,” he tells us. Visit The Rocks Market if it’s a weekend or be mesmerised by opals at Opal Minded, then take a break with a 30-minute massage or a 60-minute ‘Native Hibiscus’ treatment to exfoliate and rehydrate at The Spa at the Park Hyatt Sydney. A glimpse of the Harbour Bridge. Rested and revitalised, stroll under the awesome Sydney Harbour Bridge. Continue down Hickson Road alongside the piers (there are still places to tie up your horse! ), and turn into Pier 4, the area’s artistic hub with Sydney Theatre Company, Bangarra, Australian Theatre for Young People and Sydney Dance Company all in residence. If you’re here just before 3pm, Pier 8 cafe is a wonderful industrial space at Pier 8/9, where you can watch yachts cruising the harbour. Now it’s time to discover the latest jewel in Sydney’s crown, Barangaroo; named after the powerful Cammeraygal woman who was a key figure in the local Aboriginal community during early colonial settlement. The Barangaroo development is a series of three waterfront precincts that have reclaimed much of the harbour’s formerly industrial foreshore for the public, including the beautiful, six-hectare headland park. Download the app, Barangaroo Ngangamay, that allows you to watch a series of beautiful (very) short films that whisper of the land’s Aboriginal presence with links to the ocean. An old house in The Rocks. From here, you’re close to the historic Hotel Palisade, once a port workers’ pub and now, following a grand reopening in 2015, the place to go for a mulled wine or sun-kissed spritz on the sophisticated rooftop cocktail lounge, Henry Deane. End your day with dinner in Barangaroo’s southern precinct, home to a collection of boutique stores and exciting eateries. You’ll find whiskies, an after-work bar menu and tailored shirts at Shirt Bar, and Japanese-inspired burgers at Ume Burger. Or head to southern-style Belles Hot Chicken, a cult-favourite; Somer Sivrioglu’s Turkish restaurant Anason or Banksii; named after botanist Sir Joseph Banks, where you can enjoy a vermouth apéritif followed by braised lamb shoulder, a prawn and fennel bisque or even some Sydney rock oysters.